The German movie star Max Riemelt has been making waves in the Hollywood following his break out role in the Netflix series Sense8. He began his acting career at the age of thirteen and got his breakthrough in 2001 following his appearance in the German comedy series titled Maduchen Maduchen. He has starred in several movies since the inception of his career and has recorded few awards in his name. During the 2004 Karlovy Vary International Film Festival, he won the Best Actor Award for his role in Napola and in 2006; he won the Best Young Actor Award at the Bavarian Film Awards. Read on, to find out more about Riemelt’s career, daughter, wife and find out if he is gay below. 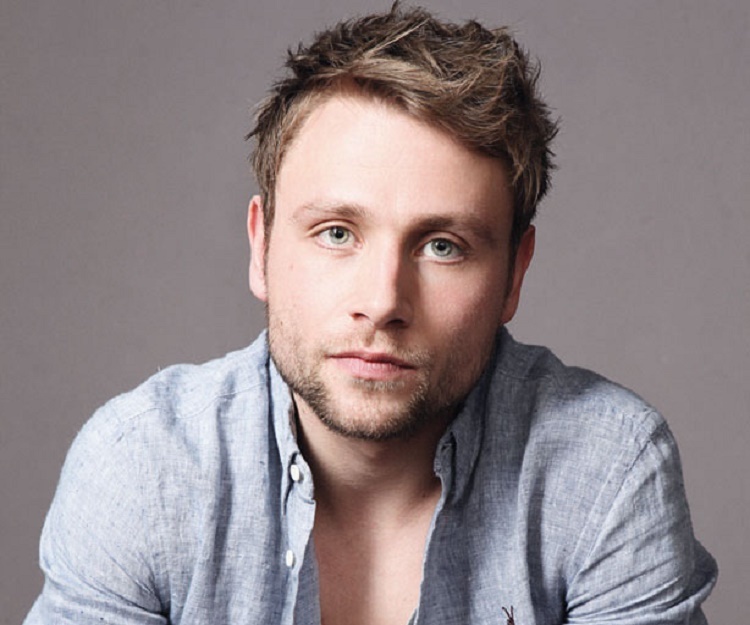 The multi-talented actor Max Riemelt was born in East Berlin, Germany on January 7, 1984. He belongs to German ethnic descent and holds German nationality. He has a younger brother named Lukas Riemelt who is also a distinguished actor. They were brought up by their parents Gunnar and Judith Riemelt. There is no much information regarding his early life and educational background. According to Max, he enjoys being in front of a camera rather than acting on a stage. He didn’t attend any special acting class and during high school, he participated in various drama and theatre productions. Max began his acting career at the age of thirteen, appearing in the German television films such as Eine Familie zum Kussen and Praxis Bulowbogen in 1997. His outstanding performances made way for the star actor to land bigger roles in the future. The following year, he appeared in the ZDF Christmas series titled Zwei Allein; followed by Ein Weihnachtsmarchen – Wenn alle Herzen schmelzen. In the 2000s, Max Riemelt starred in several movies including Der Bar ist Ios and Brennendes Schweigen. He earned his breakthrough following his appearance in the Dennis Gansel 2001 comedy series titled Maduchen Maduchen. Later on, he appeared in Sextasy, Balko, Before the fall, Der Kriminalist, Urban Explorer, The German Friend, and The Fourth State among others. The brilliant actor rose to prominence in 2015 when he joined the cast of the American science fiction and Netflix series titled Sense8. Alongside Jamie Clayton, Max has been portraying the role of Wolfgang Bogdanow who is a German locksmith in the series created by Lana Wachowski from 2015 to date. He also starred in the 2017 psychological horror thriller titled Berlin Syndrome. Is Max Riemelt Gay, Who is His Gay Partner? Sometimes the roles actors play in movies are often mistaken to be the reflection of their reality. Max is one of those actors whose sexual orientation has been under scrutiny. Many of his fans have said he is a gay hiding in the closet. Could that be true about his real sexual orientation? Well, Max has been portraying gay characters in movies and this has set him on spot for such rumors and controversies. In 2013, he played the role of Kay Engel who is a gay police officer in the German movie Free Fall. His gay partner was the character portrayed by Marc Borgmann. However, it’s normal for an actor to kiss a fellow actor on-screen but when it goes beyond the screen there could be more to it. Max Riemelt was spotted kissing his Sense8 co-star Brian J. Smith during a festival held in Brazil in 2016. After the festival, Brian who previously told his fans that he is straight said the festival was for gay men and they had to kiss in order to show respect to the LGBT community. Apart from the movies, there has not been past relationships involving Max and a gay partner. More so, since Max has kept his personal life, relationships, and affairs away from the media; such rumors are bound to surface from time to time. Taking a glimpse of his personal life and affairs, Max Riemelt is very secretive about his love life. Many of his fans are itching to know if he is married or not and if he has children. During an interview, Max disclosed that he has a daughter with whom he lives in Berlin, Germany. However, he has not revealed any details regarding his daughter, her name, and who his baby mama is. Apparently, it is not certain if the German actor is married or not. He might have been in different relationships in the past but have chosen to hide it from the media eye. Be sure that whenever he reveals any information about his relationship, we will be the first to bring it to you.